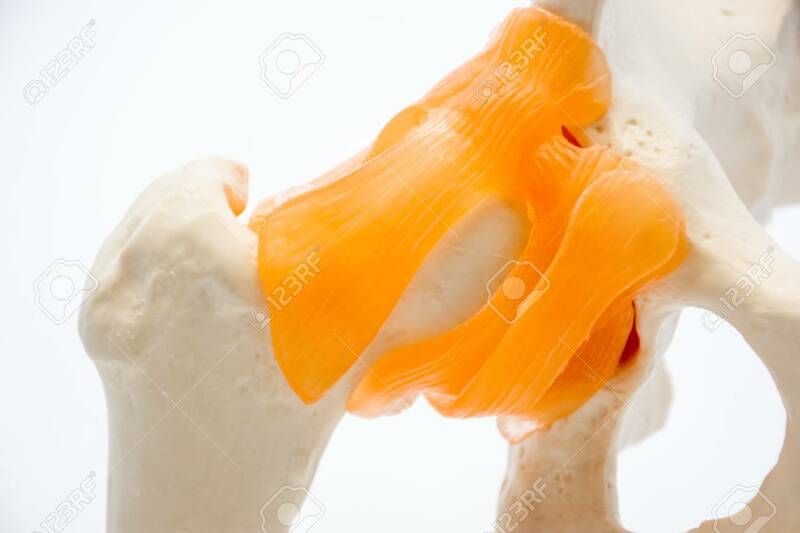 Photo Close-up Anatomy And Hip Structure With Ligaments And Tendons, Which, Together With Pelvic Bones: Ilium, Ischium, Pubis And Thighs Form Acetabulum. For Use In Medicine, Orthopedics And Trauma Royalty Free Stok Fotoğraf, Resimler, Görseller Ve Stok Fotoğrafçılık. Image 118411118.